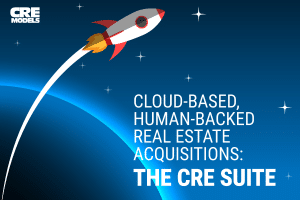 Flagship software platform, The CRE Suite, gets a major update, empowering commercial and multifamily real estate investment and development teams to close more deals, company says. A major software update released by CREModels aims to make life easier for acquisitions and development teams in commercial and multifamily real estate. The St. Petersburg-based real estate consultancy and tech firm, leveraging decades of collective, hands-on experience by executives working directly with investors and developers throughout the capital stack, has substantially extended the platform beyond its initial release just over a year ago, said Mike Harris, Managing Director. A hub for managing and accessing critical real estate data, The CRE Suite was designed for ease of use by connected teams regardless of location, noted Max Garbus, Vice President. It includes tools for pipeline management, financial analysis, development, asset-management as well as other important areas beyond day-to-day transactions. The firm also improved The CRE Suite’s user interface, including both web and in-app functions, and enhanced its data visualization functions for projects, funds and portfolios. The new Draft Mode allows users to stamp each page and thereby eliminate misunderstandings about which version is being sent out to the team, investors, or lenders. One-click modeling tools now available in the new CRE Toolkit further improve productivity. “For example, in any Microsoft Excel model you can now quickly and easily add an amortization table or run a waterfall analysis,” Garbus said.